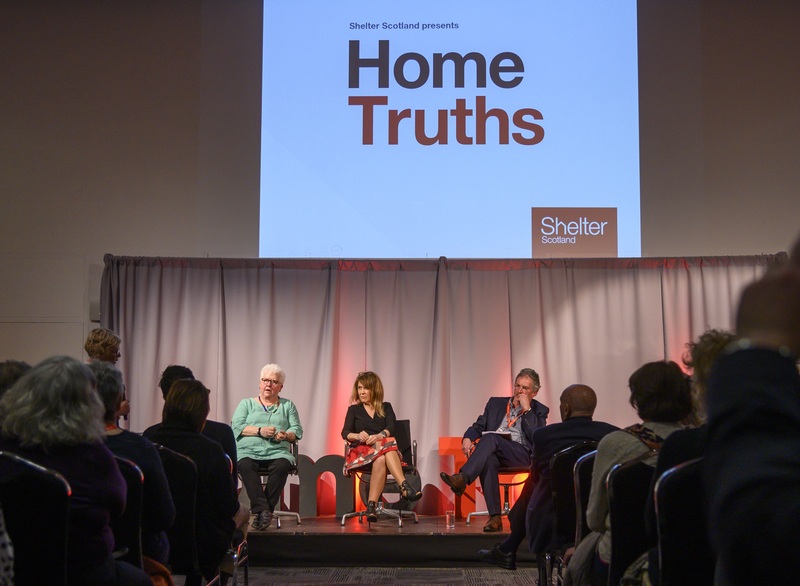 Debbie King looks back on Shelter Scotland’s #HomeTruths debate last month. 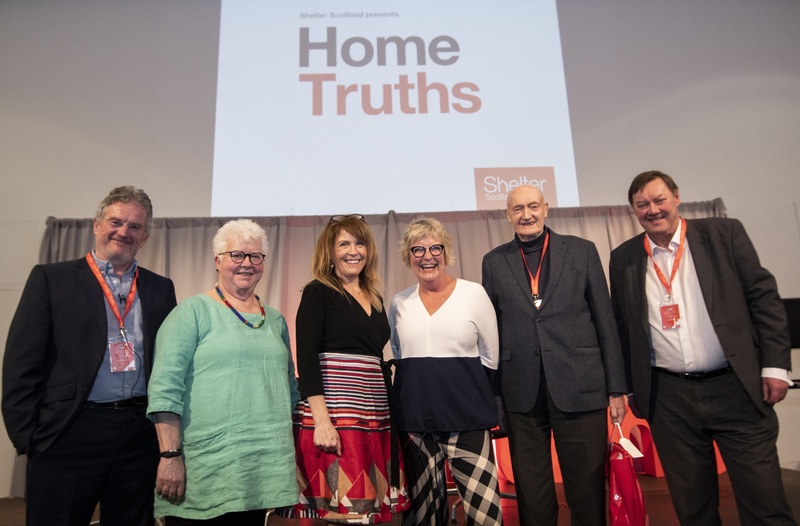 Shelter Scotland’s Home Truths event on 28 February 2019 was the final major milestone in our 50th anniversary year. 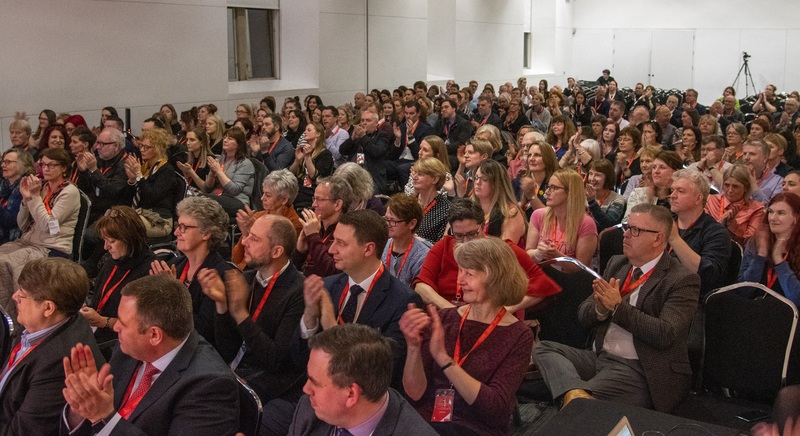 It was a thought provoking, energising and engaging night of big ideas. It focussed on the current housing crisis and what we need to do to make sure everyone has access to a decent and affordable home. 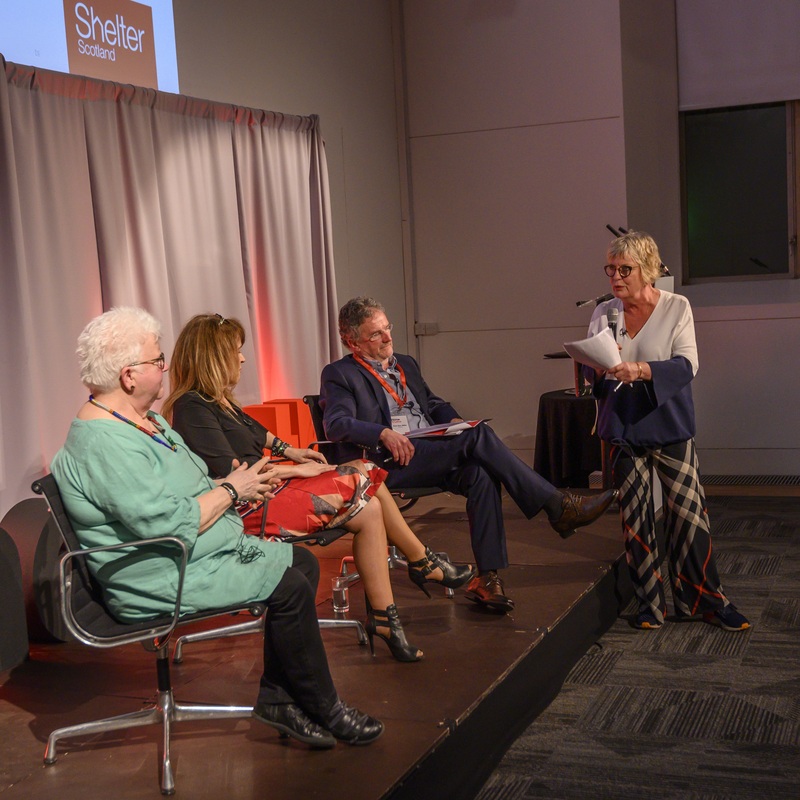 Our 3 speakers, Val McDermid, Karyn McCluskey and Professor Alan Miller all talked about the scale of the current housing crisis, the lack of housing and the need for dignity for all to be embedded in policy and practice. 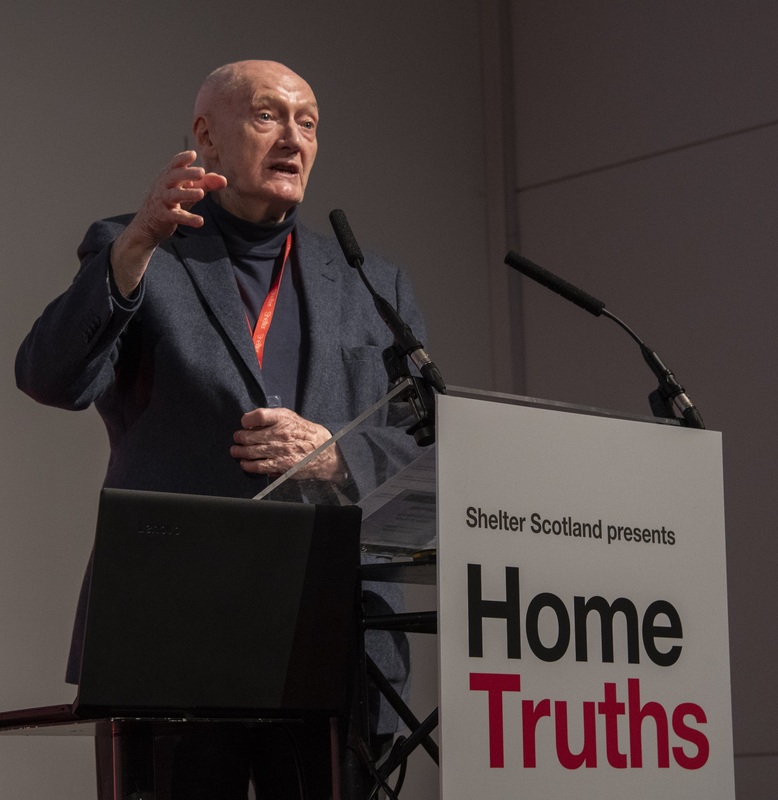 Prof Alan Miller called for internationally recognised human rights laws, including housing being a human right, to be enshrined in Scottish legislation. All the speakers called for big and bold changes and for new thinking on how to address the housing crisis. The speeches led on to a lively and passionate discussion about what we need to do to in Scotland. We could have gone on for much longer, as there were many, many ideas – what new housing models can we introduce, how can we improve joined up working, how can we build more suitable homes, can we look at other solutions such as introducing Universal basic Income. So, 50 years on from when we were founded, we will continue, with renewed energy and determination to fight for a socially just society. A society where people don’t have to struggle to find & keep a home, find a place to sleep on our streets, or choose between paying their rent or feeding their families. We must make sure decent, safe and affordable housing is a human right in Scotland, we must learn from other countries and work together across the different sectors and with all political parties in Scotland if we are to address the housing crisis. There are no simple answers or easy solutions, however we can and we must put an end to homelessness and bad housing.